Heavy-duty mobility scooters provide a world of priceless benefits to larger-sized persons who may need some personal mobility assistance. With strong, reinforced frames and extra powerful motors, these sturdy scooters can be an essential aid to daily activities or a convenient means of personal transportation. A bariatric motorized scooter from Hoveround also increases opportunities for living an active and independent life. This may be especially helpful for specific individuals (weighing from 351 pounds to 500 pounds) who either don't qualify for a doctor-prescribed power chair, or have no interest in purchasing one. With online shopping, they can easily buy a power scooter to suit their personal mobility needs. "Will a mobility scooter safely and comfortably support my full body weight? "Is there a stylish scooter with the power, capabilities and features I want? "I need a reliable, heavy-duty capacity scooter. How much does one cost?" The chart below may help in answering those questions. Hoveround's top-of-the-line bariatric scooters (the Prowler and the Osprey) are shown in a side-by-side comparison so you can decide which one may be better for you. Rider Weight Capacity 500 lbs. 500 lbs. Captain's Seat Dimensions 20" x 20" or 22" x 20" 20" x 20" or 22" x 20"
The Prowler and Osprey mobility scooters are capable of competently tackling a variety of outdoor ground surfaces. Each model also comes standard with a high-back Captain's Seat and a full safety package, so they are both well-suited for secure, comfortable all-day use. Hoveround takes the hassle out of shopping for a personal mobility scooter. Simply take a moment to view our full line of power scooters; explore and compare models, prices, options and available accessories. Choose the one that matches your need, and complete your purchase right from the comfort of your home! 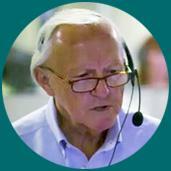 If you have any questions at all, our Mobility Specialists are available to assist. Just call 1-800-308-9295. And, remember, Hoveround scooters come with Free Standard Shipping and a 14-Month Peace of Mind Warranty. * Top speed and battery range may vary based on rider weight, terrain, grade and other factors. ** Full lighting and safety package includes: headlight, horn, turn signals, dual rear-view mirrors and anti-tip wheels. ***Prices shown may vary based on product availability, size/model, configuration and/or additional options. Prices do not reflect applicable sales tax, service charges, shipping fees and are subject to change without notice. Cash pricing is not valid for insurance reimbursement. This article is for informational purposes only and is not intended as a substitute for medical advice. Does Medicare Part B Cover Motorized Scooters?